Blockchain technology deserves all the kudos, for the massive level of change that it has brought in multiple sectors. Ranging from Education, Media to even leading the charge in terms of Charity, Blockchain seems to be making its presence felt everywhere. One of the most cumbersome and time consuming but still equally important task for any salaried employee is transferring his/her remittance back to their home country or to their loved ones. This task initially could only be done via Banks, who charged a hefty sum as transaction fees and had a waiting period of up to 4/5 working days. Soon, third party companies such as Moneycontrol, CompareRemit, Western Union or Moneygram took monopoly in the market offering lower transaction fees and faster transfers. This brand of companies even boast of money exchange in real time! Now, with Blockchain in the market, it is ruling the roost. This sector of financial transfers is probably the most developed in the Blockchain Technology as many banks, organisations have taken to implementing the it in their structure. This way, we are insured of our hard earned money not only reaching it destination in real time but also with zero transaction cost! Also, it bears to bring to notice that it isn’t restricted to transference of cryptocurrencies but fiat currency (legal government issued currency) too. One can also easily change their currency with a another fiat currency with Blockchain technology without suffering a percentage of loss in its value. Now that’s outright amazing! See Also: Travel Industry: Your Next Stop On The Block(chain)! CoinBase is without doubt the biggest and the most professional money exchange wallet. It offers it services worldwide and has a base in upto 32 different countries. Working with a 10 years plan, they aspire to be the most efficient, fastest, and most trusted of all money exchange portals. Already, they have achieved a milestone with the most number of transactions during the December 2017 value increase on the Bitcoin. Keep your eyes open for this one folks! A cryptocurrency, Ripple has also mastered the art of getting the best out of their Blockchain. They have developed the technology to the level wherein, banks have the option of direct money transfer, straight to another bank account without having to bother about a central party or a correspondent. This service is comparatively cheaper to the third party service providers such as Moneycontrol etc. BitPesa advent has shaken Africa to the core! For a continent which has many of its countries facing a civil war, Bitcoins and other cryptocurrencies have come as a boon to its citizens. They no longer have to worry about damage to its value, or losing it as they have to move from one refugee camp to another. Their asset is safe in a digital wallet. BitPesa, offers it users freedom to send or receive payments in multiple currencies and even transfer funds worldwide with the help of their cryptos. This independence has boosted African economy and is steadily working on it way to make cash flow levels increase. There you have it folks! 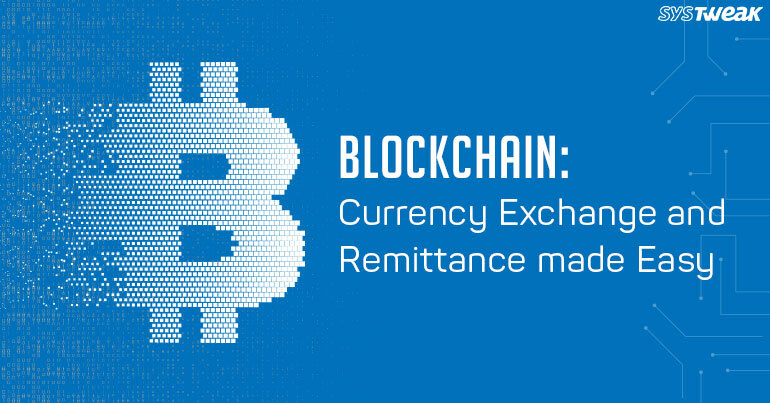 The above mentioned are just some of the portals which offer a distributed money transfer and cryptocurrency transfer or trading options. Let us know which of these suited your needs the most. Drop us a line in the comments section below.